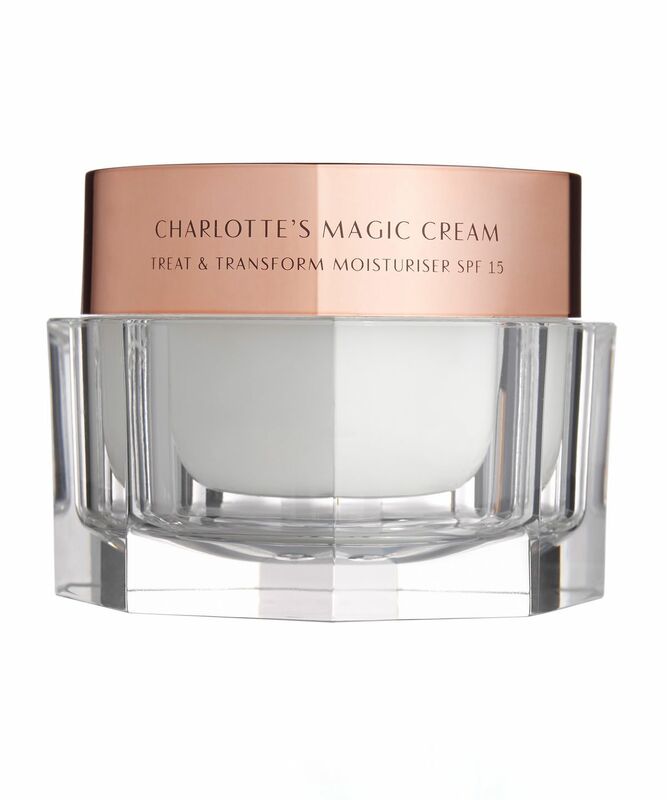 Charlotte Tilbury's award-winning Magic Cream was created backstage to transform models' skin in an instant. It soon became so cult that Charlotte was compelled to 'bottle' her secret formula; a potent cocktail of plumping, firming and line-lessening complexes that rapidly bestows a gorgeous, runway-ready glow. This über-cult cream is all you need to bring dulled, dehydrated skin back from the brink. Based on Charlotte's hand-made 'backstage' formula - originally created to prep models' complexions before the shows - this rich, fast-acting treatment delivers a serious hit of hydration thanks to its hyaluronic acid booster: sodium hyaluronate to attract and retain much-needed moisture, alongside a patented bionymph peptide complex which helps turn back the clock (in mere moments). Powerfully firming and line-lessening, this also contains broad-spectrum sun filters to deflect both skin-burning and ageing rays, while extracts of frangipani, aloe vera, damask rose and vitamin A combine to stimulate regeneration, combat inflammation, soothe redness and leave skin looking enviably even-toned and luminous. 1. Complexion Lift & Boost Collagen. Apply cream to the tips of the middle 3 fingertips of each hand. 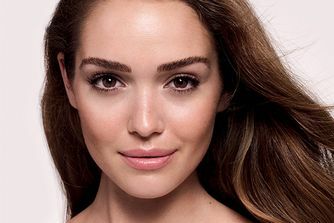 Blend into your cheeks starting from the lower cheek, near the mouth, in a sweeping motion up & out. Repeat this motion, moving up the face to simulate blood flow, and penetrate collagen-boosting ingredients deeper into the skin. To blend in the excess and de-congest puffed up cheeks, tap your cheeks with your fingertips in a pitter-patter motion, starting from the top of the cheek bone and working down. 2. Define Facial Framework: Cheekbones. Place your forefingers under your cheekbones, starting from the nose. Push upwards, into your bone structure, and outwards, smoothing your fingers along your cheekbones, finishing at your ear. Repeat three times. 3. Define Facial Framework: Jawline. Using your thumb and forefinger gently pinch your jawline, 2 seconds per pinch, moving along the line from your chin outwards. This drains puffy skin and sharpens contours. Finish by running your thumb and forefinger along your jaw again, in a sweeping motion, to smooth out skin. 4. Smooth Wrinkles & Relax Furrows. Apply cream to the tips of the middle 3 fingertips of each hand. Starting from the middle of the forehead, massage the cream into the skin in 3 circular motions, moving outwards towards the temples. This relaxes the muscles and smoothes over wrinkles. Pat in any excess cream with your ring finger to stimulate micro-circulation. 5. And Relax... Apply a light pressure on your temples for 5 seconds to finish the massage. Sure, you love her make up but have you tried Charlotte's skin care? I got a sample of it with my purchase, and I'm glad I did. It didn't sink into my skin, and made my foundation look like it was sitting on my skin. It is best makeup base for me. Ideal for everybody, but still too expensive Я бы не назвала это уходом, это скорее идеальная база под макияж для всех, кроме супер-жирнокожих! Круто подготавливает и увлажняет кожу. Но стоит конечно слишком дорого! Поры не забивает точно, не бойтесь ) ***I would not call it skincare, it is rather more of an ideal base for make-up for everyone except super oily skin types. Nice preparation and moisturizes the skin. But of course it is very expensive! Pores do not clog, so do not be afraid of this. Just recently purchased magic cream 50 ml used it twice now, but sadly the smell is too strong for my liking, it give me headache. I bought this cream for my upcoming holiday but gave it a go last night and after one use my skin feels and looks incredible! I’m 62 and my skin looks 32! It’s expensive but I guess you get what you pay for. One of the best creams for make up artist, use it for lots of clients more than a year. Buy the new one bottle of cream every 2-3 months! I’m not normally someone who reviews products, but I have suffered with cystic acne for a total of 6 years now, having been on various prescription drugs/creams nothing seemed to help even after diet changes etc. I was then stuck with having to get the cysts on my face injected with steroids, as this was the only thing that actually made them go away. I then decided to try the Magic Cream as I had heard amazing things and they weren’t wrong! I have now been using this product for 8 weeks and I haven’t a cyst since I started using this cream. Not only that, but all my redness and dryness on my cheeks have dramatically reduced and my skin is finally starting to show through as a normal tone! I can’t express how grateful I am of this product, if your like me and suffer with skin problems, this cream could change your life, like it has mine. I’ve now changed my beauty regime and brought the glow mask (for over night) and the new cleansers, the results have been incredible. Anyone who says this cream did nothing for them, I personally think they didn’t stick with it for long enough but everyone’s skin is different, and can be down to a lot of factors in their lifestyle. Cystic acne is something that doesn’t have a cure, and is extremely painful! I’m so grateful this cream has prevented them and means I haven’t got to get my face injected every week which is winning in itself!! 5* from me!! Lovely cream as a base under CT foundation , but broke me out so much... I now regret using it. Unfortunately, the same reaction for CT balm and mask. All three were used on different occasions over the last few years, same reaction. This is hydrating but not the least bit greasy. I got this in the goody bag and I have been using it as a moisturiser-primer. Really really nice, but pricey. I was very excited to try this. I have dry skin and love a rich, dewy cream. It definitely makes a nice base for makeup but where I struggled with was long-term benefits. Over time, it clogged up my pores and actually made it look less radiant. There is a strong fragrance and overall really disappointing for a high-end face cream. Definitely, style over substance (something I find a little too often with this range). I have purchased this cream many times but recently decided to go off piste and venture into the world of other moisturisers. It was a mistake! I think due to the price tag I was playing the field, sowing my wild product oats, but there's a reason it's expensive and it's because it's bloody ace! This is for the girlies out there who want to look dewy, fresh and feel moisturised all day long! I have normal to dehydrated skin, so maybe it's not cut out for all skin types! I must say I'm pretty shocked to see some awful reviews on here, but hey, we're all different! For me, I will never cheat on Charlotte again! Me and Magic Cream got a thing and it's LOVE! This is not magic. It is not even marginal. I have dry skin and a $20 moisturizer is better than this. The glow disappears after you apply foundation. This magic cream leaves the skin hydrated and give out a soft glow...it's not oily at all. Very good moisturizer. Omg!!!!Omg!!!Omg!!! Perfection! I have combo skin and it works great! My skin feels very comfortable!!! First I was afraid cause cream feels very thick but once I applied it I had no doubts since then! Will buy again! Let me start this by saying that Charlotte Tilbury is a goddess so never will a bad word leave my mouth regarding any of her game-changing products. They are all so achingly good. Having said that, this cream is great but not for me. It's very rich but does not break you out. It leaves your skin with a superbly moisturized, luxurious feel. It's a bit much for me personally, as I like to layer products, a serum underneath and primer on top before putting my face on for the day. It just feels heavy for my routine. If you're a one-step girl, however, I would definitely recommend this, as it is rich enough to make up for the other missing steps and you'll have plumped, pampered skin throughout the day. Love this. Will forever repurchase. It's an intelligent cream that diagnoses skin type and acts accordingly. I felt it plumped my skin and brought out a glow that I didn't have before. Has SPF so suddenly missed it when my large pot of 100 bucks finished, I quickly wanted to go and grab another. It's worth every single buck and I used it up till its last drop. You only need very little to moisturise your entire face and neck (and elbows if you like) and the magic cream pot lasted me 6 whole months! Excellent value, you will realise only once you've used a pot. Lovely smell and it feels like you are treating yourself to sheer loveliness. Indulge, Please. I have tried so many moisturizers in the last few years (28 now) and this for me has to be up there in my top 3 of all time. I had a reaction to apple cider vinegar and had hives all over my face, chest and back. Nothing helped for a week until I tried a sample of this and my skins texture improved after one day. So I bought it the next day and I won't be looking back. Amazing. Good cream but very expensive. Good afternoon! I liked this cream very much. The skin becomes more hydrated, fine wrinkles will not remove it, but the whole face looks more well-groomed and the make-up on this cream is a pleasure. But the cream is very expensive in my opinion. It's a very rich cream and just tad too heavy for my oily skin but it didn't leave any sticky residue. I think it's more suited to dry to normal skin types but for the price, you can probably get something similar for less. It's a good product but maybe not suited to my skin. Love this! Definitely worth every penny! Looks thick, but goes on smooth and you can apply your foundation right after! More than a moisturiser or a primer. Beautiful, lightweight, hydrating and illuminating. Yes it's expensive but it makes me look and feel better. Make up sits over the top with no issues. Love it. I was lucky enough to be given three samples rather than waste my money on this rubbish! I used this moisturizer on a few occasions and it's awful. I looked like I'd been hit with an oil slick. I had to wipe it off with cleanser and begin my routine again minus the Magic Cream moisturiser. It is an absolute joke. Astral from Boots for three quid is ten times better. I repeated the process the following week and I'm not sure if it's a coincidence, but on the three separate occasions that I used it, I broke out in spots. Personally, I found this cream to work really well for me! I have normal/dry skin and it left my skin feeling hydrated and moisturised for the whole day. It takes a little while to sink in but sits really well under primers/foundations! Lovely scent, but something to note is that a little goes a long way with this cream so best to start off with a small amount first to reduce waste. Overall, I love this product, the only thing that really lets it down is the hefty price tag. I bought the full sized cream and was so disappointed. Another CT gimmick, where the quality of the product really doesn't make this worth a purchase. Greasy, scented cream offering no skin benefits at all. Too heavy for daytime use, and doesn't compare to a decent night cream if used in the evening. Below average quality cream, for an inflated price - and I say this as someone who spends a lot (happily) on skincare. I take good care of my skin and I am always searching for a good, rich moisturiser to use with serums and other actives underneath. I have very good but sometimes dry skin and tend to spend a lot on actives, and less on a good thick barrier cream for the top. Every few months I splash out on something expensive, hoping to find a holy grail to match my old favourite, the discontinued Sunday Riley Bionic. Contrary to claims, this is not a rich cream (it is a silicone barrier cream, I think, it simply sits on top of your skin). I would say it is similar to a lot of the £10 level creams for normal to dry skin in any high street chemist in the UK - take a look at the ingredients. Very blah. I got this out of curiosity and because a few people have raved about it for very dry skin, including Caroline Hirons. I am always trying new creams - but would certainly not bother with this again, I would suggest Eucerin is a good brand that for a similar cream would cost £12 or under and have much better ingredients, and actually hydrate your skin. For £70 there are so, so many better options, Drunk Elephant is amazing, for example, and contains quality ingredients. The moisture this provides is short-lived and does not absorb well (I think this is why they say it is for dry skin - because it just sits on your skin, like a cheap layer of silicone) - It does not absorb. You could use it as a really overpriced silicone primer/crappy sunscreen - I would not wear at night, either, due to the superfluous SPF. I used it up on my hands. It is not for me. I bought a full size one and it made me look greasy. I have combination skin to oily and my mom normal skin. She hates it because of the dewiness. Sometimes when I use a foundation that is too dry for the dry parts of my face, I use it and it helps a bit. But so does the Guerlain "L'Or" And I prefer it as a primer. I can't use the cream at night because of the SPF and all the bad stuff that clogs pores. There's a lot of silicones and did you see what position the phenoxyethanol is ?! I have extremely dry skin that needs replenishing with a rich moisturiser every hour or two. I love this moisturiser because it's very rich and doesn't need replenishing that often and makes my skin so soft and smooth. I received a deluxe travel size of this cream in the CB goody bag and was really looking forward to trying it out. Unfortunately, on my combination skin, it made my t-zone unusually greasy under foundation. I thought about using it as a night cream, however, discovered that it has SPF in, which is, of course, great for day wear but not so good for night wear. I also noticed a few clogged pores on my cheeks and forehead while trailing this cream. I would definitely recommend getting a sample before splashing out, as it may be too rich for some skin types. I don't know how it works, but this moisturiser makes my skin look amazing! Full of life, plumper and even gives an added radiance. Ever since I started using this, I have stopped wearing foundation, because I just don't need it! Yes, its super pricey, and the cute tub lasts for ages if used properly! For me it's not even heavy on my skin, I find it light, and gives me added hydration! Makes my tired face look more awake! Doesn't make my face greasy at all, better yet, it makes it feel smooth and creamy! Definitely, something I'd be repurchasing and continuing using forever! My friend gave me this as she couldn't get on with it; she said it left her face very greasy. I found it too greasy as well for my face under makeup but on the neck and chest it is beautiful: it leaves my skin so smooth and nourished, and I swear my skin looks plumper and less lined. Sometimes I use it as a night cream on my face and although I wake up greasy it does feel lovely. 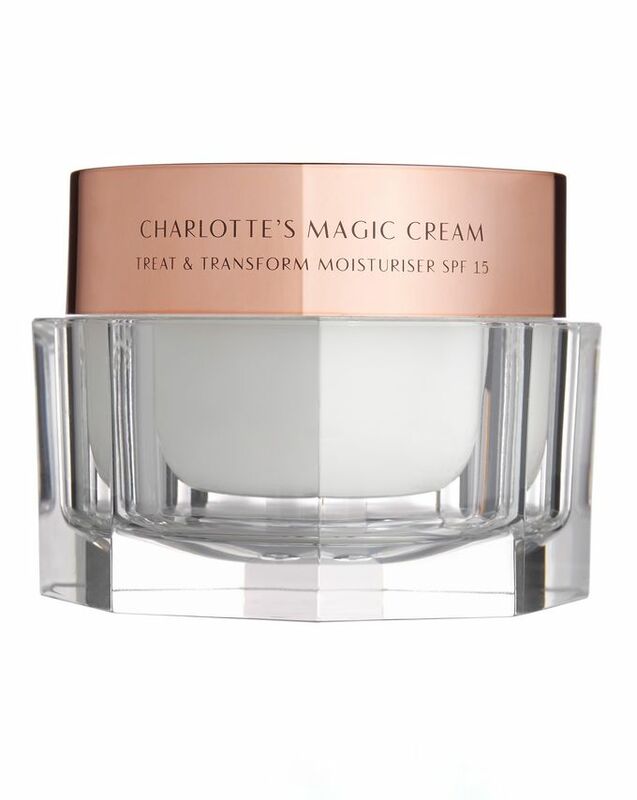 Much and all as I love Charlotte Tilbury this cream just piles all over the place. Probably my biggest and most expensive face cream mistake. This was lovely to use earlier in the year when it was cold and my skin was very dry. Really does make your skin look instantly better. However, used it again in warmer weather and it was far too heavy and just made me look and feel greasy, especially with SPF on the top. Too expensive for me for a product I can't use all year round. Drier skin than mine will love it as its a really nice cream. For years I assumed I had dry skin because I have eczema, I actually have dehydrated skin that produces a lot of oil. This cream was just too thick to actually sink in and hydrate my skin. Good for bone dry skin not good for anyone who needs hydration imo. I have read a lot of reviews saying it's very heavy but I love it.. I wake up with a nice glow . That's pretty much what I look for in a moisturizer so I love it. I can't wait to try the night cream next. Will save up as I must get this cream! Having experienced two samples of this amazing cream I just have to save up and buy it! The samples are very generous and do more than one use, the feel on the skin is really magical, makes my 68 year old skin feel 20 years younger and brings a glow to it which is perfect. I'm so surprised this hasn't been reviewed yet! I have been using this for a year and have normal skin, early 30's - wasn't too fussed about skin care an thought I had good skin. The price tag for me was crazy and I couldn't understand what the deal was! I tried it every time I went to the counter and after buying the foundation found it didn't sit as well as when I layered this. I took the plunge and haven't looked back! My skin texture, glow, lines and wrinkles have gone. I am a mum of 2 young boys and most days this moisturizer is all I need and I feel confident. It really is life changing, now I am sadly obsessed with Charlotte's products!! I'm eyeing the Night Cream but if in two minds take the plunge. My skin has transformed, I had a few weeks of hmm but once my skin adjusted to the cream as it's meant to I am sold. Lasts forever don't need much had mine a year and still got half left after everyday use. Bought some for my mum and friend and have a back up waiting for me as I never want to be without it. Holy Grail!!! !